Some 160 Spanish broadsides (known as “aleluyas” in Spanish) have been recently added to the Cambridge Libraries catalogue. They were bequeathed to Cambridge University Library by Edward Meryon Wilson, former professor of Spanish at the University of Cambridge. The collection contains a complete run of one of the longest series of aleluyas ever printed in Spain: the Marés-Minuesa-Hernando series, consisting of 125 numbers. According to Jean-François Botrel , the printer Hernando would have acquired this collection from the printers Marés-Minuesa in 1886 and would have started reprinting it shortly afterwards. These aleluyas can be consulted in the Rare Books Room (classmark F180.bb.8.1). They were printed by Librería Hernando and by Sucesores de Hernando, respectively (the founder and his descendants) between the end of the 19th century and the beginning of the 20th century (Librería Hernando was founded in 1828; Sucesores de Hernando took over in 1902). Following the Fighting windmills virtual exhibition, a short in-focus talk will be given on Tuesday 21st February at 1pm entitled Ingenuity in the age of Cervantes. Come and join us for a compelling presentation by Dr Rodrigo Cacho from MML and Dr José Ramón Marcaida from CRASHH (Library members only). It is very likely, and widely accepted, that Nebrija recommended the printer Arnaldo Guillén de Brocar to Cisneros. Brocar had a good reputation and had exclusive rights to print Nebrija’s works, so he had been printing his books since 1503. Page of Mark’s Gospel in volume 5 (Young.5). Click on image to see enlarged. 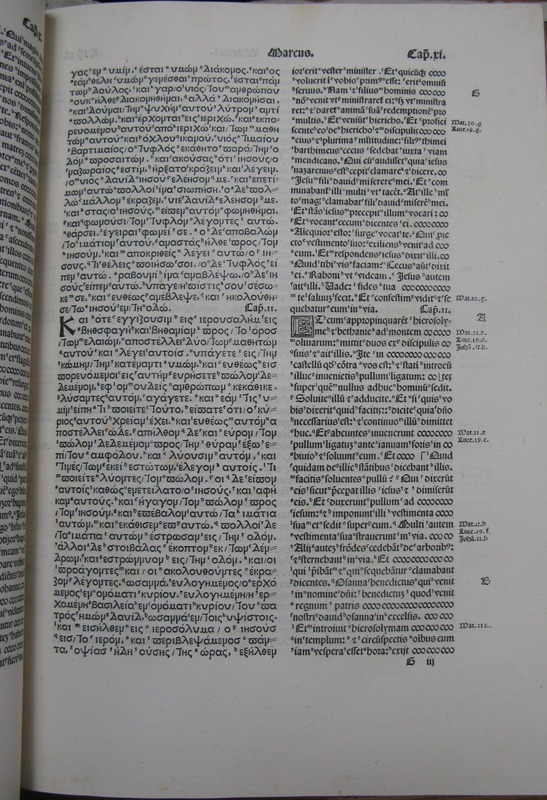 The Complutensian Polyglot Bible was the first printed polyglot Bible, and as a result the one that set the model for the following polyglots. 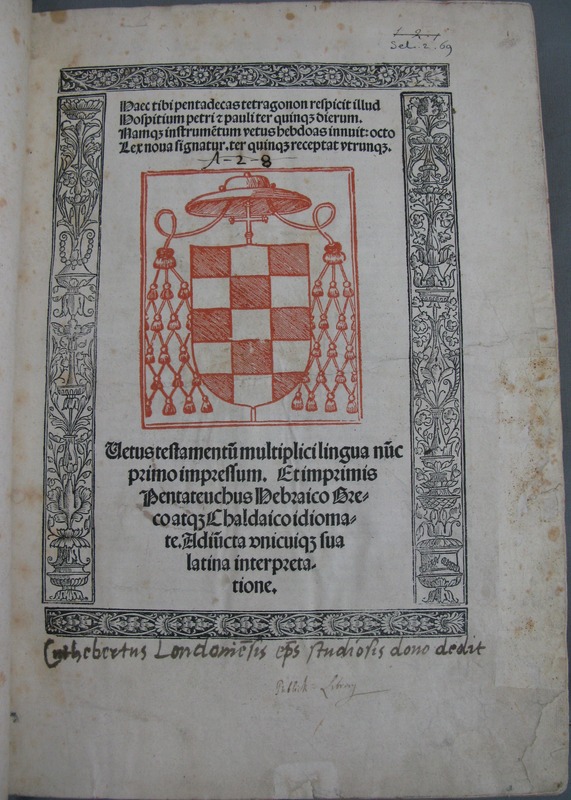 2017 is the 500th anniversary of both the end of the printing process of this Bible and the death of Cardinal Cisneros, promoter and sponsor of the project.